Once upon a time, businesses could rely on their local Yellow Pages, newspaper, or radio ad rep to drive new leads and clients through their doors. And if they offered a valuable product or service and treated their customers with respect, their business would grow. DigitalMarketer’s Mastery Intensive program is as challenging as it is rewarding. Each unit is taught by an industry expert and facilitated each week by a live instructor in a true, small group, classroom-style format with no more than 25 students per class. You and your fellow Mastery students will complete course trainings, quizzes, and "mini-projects" that will test your understanding of the core disciplines of digital marketing. You will also be expected to participate in group discussions relating the course material to real-life business scenarios, and complete a course project and final exam...all in a compressed, 12-week period. Those who successfully complete Mastery Intensive will, in 12 weeks, emerge with the skills, knowledge and “in the trenches” experience that only a Certified Digital Marketing Professional can possess. On Tuesdays, you’ll receive access to the streaming video lessons for that particular unit. Each unit typically contains 4 – 6 hours of video (plus corresponding handouts and worksheets), and you'll have 6 days to complete all assignments. By the following Monday, you'll complete the previous week's course work and unit exam. Upon successful completion of the Unit Exam, you will be rewarded with a specialist certificate and badge denoting your mastery of the subject. On Thursdays, you’ll attend an Office Hours session with the instructor where you’ll receive additional instruction and have the ability to get your questions answered. In addition, on Thursdays, a discussion thread will be started by your instructor where you'll be asked to apply course information to a real world business scenario. Once you finish all 8 courses and pass each unit exam, you will complete the course project and pass the final exam. Your instructor will evaluate all aspects of your coursework to determine your eligibility for the coveted Certified Digital Marketing Professional (CDMP) designation. Get ready for the next 12 weeks! This week we will meet your instructor and get to know the other students in the class. We will cover what you can expect from the training and how to get the most out of your time including grading, participation and how to achieve your coveted Certified Digital Marketer Professional Designation. Most businesses have some sort of “funnel” for generating leads and converting those leads into paying customers, but very few have a truly OPTIMIZED funnel that maximizes immediate average order value while simultaneously reducing overall acquisition costs. That’s where you come in. In this unit, you’ll learn how to architect a “conversion funnel” that gives businesses exactly what they want: MORE customers, that are MORE valuable, all while spending LESS to acquire them. Content marketing isn't an "optional extra"...it's an essential aspect of any modern digital marketing strategy. In this unit, you'll learn our "Value First" content plan that transforms ice cold prospects at the top of the funnel (TOFU) into loyal buyers of even your most expensive products and services at the bottom of the funnel (BOFU). You'll also learn how to leverage "other people's content" to generate free, organic leads while simultaneously building your brand's value and authority. Companies today must have scalable traffic campaigns that produce new, qualified customers from scratch if they want consistent growth. In this unit, you'll gain the skills you need to help brands and businesses leverage paid traffic channels such as Google, Facebook, Twitter, YouTube and other demand-gen platforms to grow their customer base...without breaking the bank. Thanks to an ever-changing social landscape, consumers have altered the way they voice criticism and praise, find and consume information, and, most importantly, they have changed the way they buy. Successful brands must learn to adapt to these changes, and put plans and processes in place to listen, influence, network and sell in this environment. In this unit, you’ll learn to assess business goals and employ sound social media marketing practices to meet those goals. You'll also be trained on the most up-to-date social media marketing practices that work TODAY, and will continue to work TOMORROW. Email marketing consistently generates the highest ROI of any marketing activity, but sadly most businesses are doing it wrong (or ignoring it completely). In this unit you’ll learn the three types of email campaigns and how and WHEN to use them. You'll also learn how to architect the perfect promotional calendar, and how to use automated email marketing to literally "sell while you sleep." By the time you finish this unit, you’ll be able to effectively monetize any email list, while simultaneously increasing engagement with your subscribers. With all the "noise" in the world today, it's critical that brands and businesses get found when a customer or prospect is looking for them. It's also critical that your brand is shown in a positive light when the right person is looking for a solution that YOU provide. And that's exactly what you'll learn how to do in this unit. You'll learn how to leverage search channels such as Google, Amazon and even local channels such as Yelp to ensure that your brand gets found...and that when it's found the message your prospects see is a positive one. We’ll pause the training during this week to apply what you’ve learned from these three units and get caught up if you are behind or any course work. Are your decisions driven by data or hunches? Logic...or fear? In this unit, you'll learn how to setup a basic analytics plan, and determine the key metrics that your brand needs to track on a daily, weekly and monthly basis. You'll also learn how to setup simple dashboards that alert your brand to potential problems and opportunities BEFORE it's too late. 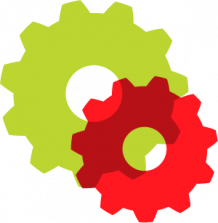 Conversion Rate Optimization and Split Testing are two of the most identifiable marketing tactics in the industry today. Unfortunately most marketers claim to be doing CRO, but are merely relying on hacks and tricks. In this unit, you'll learn a repeatable process that increases converting actions from the traffic you already have by leveraging assets you’ve already created. In short, you'll be able to produce immediate results...making you immediately valuable to any business or brand. In the final two weeks of Digital Marketing Mastery Intensive you’ll take the Certified Digital Marketing Professional (CDMP) exam and complete your course project. Your project will be reviewed by your instructor, and evaluated along with all of your coursework. 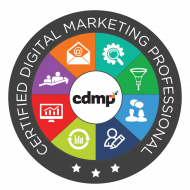 Upon successful completion of all coursework, you will be awarded with the Certified Digital Marketing Professional (CDMP) designation. Still Wondering If Mastery Intensive Is For You? If you are a digital marketing professional looking to get an edge in an increasingly crowded marketplace...then YES. If you are a traditional marketing professional looking to get up-to-speed on the newest trends in the field...then YES. If you are a startup founder looking for strategies to acquire customers and clients without being forced to raise money from outside investors...then YES. If you are an agency owner looking to expand your service offerings...then YES. **Tuition credits are available to existing certification owners. Please email support@digitalmarketer.com if you have any questions. » per month for 12 months. » one time (a $945 savings). Q: How is the Digital Marketing Mastery course different from the individual Certifications that DM offers? #1 The individual Certifications are for people and companies who want to be certified and specialize in very specific aspects of digital marketing. For example, it’s great for businesses who want to train a Social Media Manager & Community Manager on just that single topic. The Digital Marketing Mastery class, however, is designed for agencies and brands who want to have a complete, holistic understanding of the 8 critical aspects of Digital Marketing. So as the name would suggest, it’s less about “specializing” and more about overall “mastery” of digital marketing. #2 The individual Certifications are offered virtually, and can be completed at any time, and at your own pace. The Digital Marketing Mastery class, on the other hand, is synchronous, meaning everyone enters the class at the same time, goes through the modules at the same time and graduates at the same time. #3 Digital Marketing Mastery is instructor-led, and includes weekly webinars with your instructors where you can ask questions and get direct feedback on your assignments and “mini-projects.” The individual certifications, however, do not offer instructor help and feedback. #4 Finally, Digital Marketing Mastery concludes with an optional Class Project that, if completed successfully, qualifies students to become Certified Digital Marketing Professionals (CDMPs). This mastery-level certification is not currently available outside of the instructor-led class. Q: For Digital Marketing Mastery, are the classes themselves live? A: The core training modules are not live. We understand that our students come from all corners of the globe, so finding a training time that works for everyone would be impossible. That’s why we have designed the training to be consumed on a week-by-week basis, but leave it up to the students to decide when they want to consume the actual content. For example, if a student wants to consume an entire unit in one day, they can. If they want to stretch it out over the entire week, they can do that also. This allows for an appropriate amount of flexibility within a highly structured curriculum, giving students the feel of a real classroom with the flexibility of an online training. In addition to the core training modules, however, there are also weekly Instructor-led Q&A sessions that are live, and where you can get your questions answered and feedback on your “Mini-Projects” in real time. If you cannot make these weekly Q&A sessions, however, that’s ok. They will be recorded, and you can also receive feedback from instructors as well as from your fellow students via online forums and discussion groups. Q: What about the training itself? How is the content in the Digital Marketing Mastery class different than the content in the certifications? A: Digital Marketing Mastery utilizes the same video training and exams that are found in the individual certifications. This means that Mastery students also receive individual certifications and specializations as they progress through each unit in the class. Again, the key difference is found in the additional instructor-graded homework and the live weekly calls with the instructors. So, unlike the certifications, you can actually get additional feedback and help from the instructors on the topics. There’s also the Final Project to earn the CDMP designation, which can only be earned in the Digital Marketing Mastery program. Q: What if I’ve already purchased some of the certifications? Won’t this just be repetitive and won’t I essentially be buying the same thing twice? A: While much of the training content will be the same, there’s additional value in the instruction offered in the weekly live instructor calls as well as in the instructor graded homework, along with the final project that can earn you the CDMP designation. That said, if you have purchased certifications in the past, you ARE eligible for a tuition credit based on the number of certifications that you’ve purchased. If you believe you are eligible for tuition credit, please contact our support team at support@digitalmarketer.com with the subject line: “Tuition Credit” and they will be able to help you out. Just know that if you do “turn in” existing certifications credits that you will not be able to reassign that certification to a team member or colleague. On the other hand, if you register for the Digital Marketing Mastery class, any existing certifications you have taken can be reassigned, meaning a team member or colleague can attain a specialist certification and no additional charge. Q: For Digital Marketing Mastery topics, do we receive individual topic badges (like we do for individual certifications) as we go through the course? A: Yes, as you complete each specialization topic and pass each test, you will receive the corresponding Specialist Certification Badge. Once you’ve passed all 8 specializations (and received those 8 badges), and you pass the final class project, you will earn the final designation and badge of Certified Digital Marketing Professional. Q: Who is the instructor for the Digital Marketing Mastery Intensive course? A: The Digital Marketing Mastery course leverages training videos created by experienced members of the DigitalMarketer team. Each Unit of Digital Marketing Mastery is taught by a subject matter expert with years of experience in strategy and implementation. Additionally, each Digital Marketing Mastery Intensive course is facilitated by a Certified Trainer. These trainers are hand-picked by DigitalMarketer because they have a unique blend of practical experience and familiarity with marketing education.